Planning your social media campaigns to grow your subscriber base can be an added bonus for brands as an email subscriber base provides an opportunity to engage audiences for campaigns on an ongoing basis. The open rate for emails on mobile devices is as high as 45 percent and for some categories there has been an increase in the open rates according to an Epsilon research report. 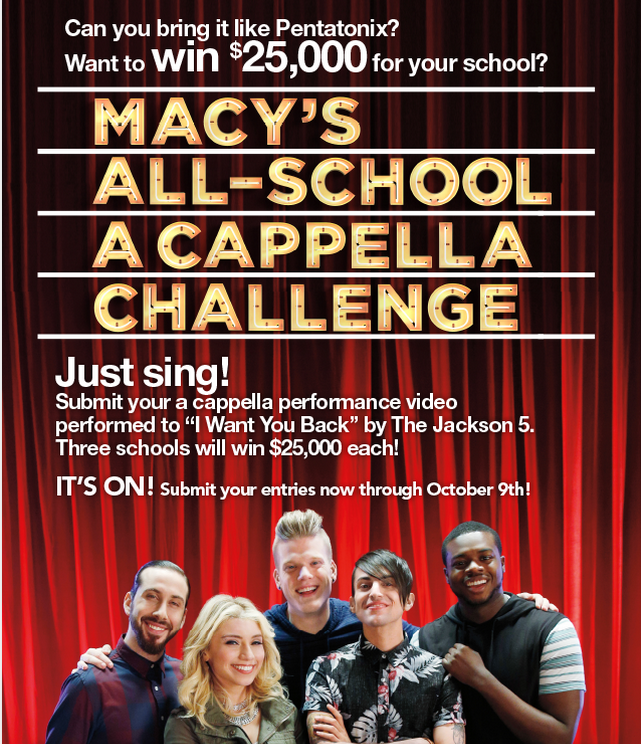 Macy’s All-School A Capella Challenge targeted at young audiences enters contestants with a video uploaded to YouTube that automatically subscribes the users with a YouTube linked email account. “Millennials turn to social media platforms to understand what’s hot in fashion,” said the Macy’s spokeswoman. “It’s imperative that we as a retailer stay on top of how fashion trends are being communicated on those platforms and use that awareness to shape our publishing strategy.” For example, Macy’s regularly taps trending hashtags like #ShoesdayTuesday and #ManiMonday to push its styles, and customizes its social messaging based on local events and trends. Here are ten ways that brand marketers can engage audiences using social and email. Using your email newsletters to communicate about fun social promotions adds exposure for your follower and hashtag campaigns beyond the walled gardens of your Facebook and Instagram pages, Twitter feed or Pinterest boards. On Facebook, for example, algorithm changes have reduced organic reach for promotional posts. Email can boost exposure, visits and, ultimately, new follower acquisitions. Adding your social campaigns to email messages can also inject some creativity and brand personality into your newsletter. For example, Moosejaw, famous for its irreverent approach to marketing its outdoors gear, encourages customers to send in selfies taken with a Moosejaw logo flag . This customer-as-brand-ambassador initiative also adds a human-interest angle to your emails. In an inbox crowded with “buy-buy-buy” promotional emails, this type of personable content can help you stand out from the pack. Use the broad reach of your email program to give your own social content more exposure and reward your influencers for helping you spread the word. Find the Pinterest pins or Facebook posts that your fans share and comment on the most. Instagram photos or tweets from a hashtag contest provide consumer-generated buzz that provide social proof. Repost them in stand-alone emails, in your scheduled email newsletters or in your onboarding series. 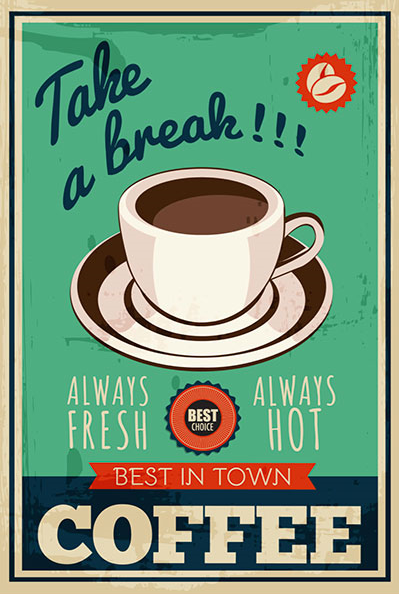 Regramming by Starbucks is a popular post example for content that is liked by the Brands’ fans and followers, using the same creative to engage audiences on email can engage non followers to follow the brand on Instagram. Social media is more than posts and pins. Promote your blog and video channels to boost traffic, brand awareness and sharing, and generate quick content in your emails with the relevant hashtags so that audiences can post their responses. Connect your Facebook fans with your email program by adding a custom tab with an opt-in form they can fill out without leaving Facebook. The tab opens a form within the framework of your Facebook page and appears in the navigation bar below your cover photo. Another option is to use a “Sign Up” button that links out to a form on your website. This takes your visitors out of Facebook, which interrupts their Facebook experience but also moves them onto your own turf. 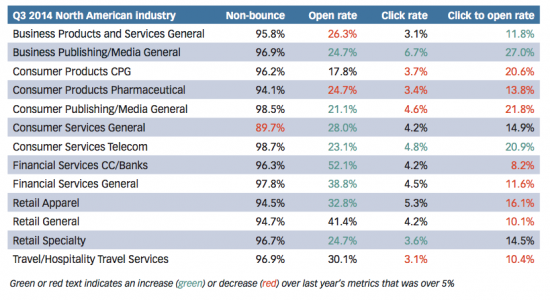 Test to see which mode drives more opt-ins. However, mobile viewers will see your “About” page. Be sure to put a link in your “About” section so that mobile users can see and click on it. The content you send out via email can be a steady source of fresh, high-quality posts in your social media channels. Facebook’s algorithm takes this into account when determining your reach. On both Twitter and Facebook, newsletter articles often make great posts, as do your regular deals and “email only” exclusives that let your non-subscriber fans know what they’re missing. Schedule regular opt-in promotions, and point either to your Facebook newsletter tab or to the opt-in page on your site. On other social sites, add an opt-in link to your “About” or information pages. Are people really clicking on those tiny social icons at the bottom of your email template? Move them up out of the basement to a spot with better visibility. Testing will show where they’ll get more attention: front and center; embedded in copy; or in some other location. It’s not just about location, either. Write a brief value proposition for each channel. Group your icons together to create an attention-getting icon field in your email. A series of email messages usually engages new subscribers better than a single welcome message. Include a stand-alone email that invites them to connect with you in all of your social channels. Take advantage of this extra space to explain the value proposition associated with each channel. Think beyond the usual social networks, too. Consider including your blogs and user communities. Also, test the order of your onboarding emails to find which position in the series drives the greatest engagement. However, if you can’t expand your onboarding series, be sure your welcome message includes the social media invitation, link to the home or “About” page and a short value prop for each channel. Create crazy/fun emails that people will want to share via social. Connecting directly with your customers and fans through social media shows you what content engages them. Capitalize on that information by creating fun emails your readers would likely share as forwards or on their own social channels. This takes some finesse if your brand doesn’t have a clear personality. You can’t engineer an email to go viral if the message doesn’t grab your fans. However, knowing what engages them on social media can help you experiment with email content that they would engage with and share. Facebook: When one marketing channel closes, reach out in another. Using Facebook Custom Audiences, you can upload your unsubscribe list to look for matches within Facebook’s membership database and then run targeted ads to reach those users on their Facebook pages. Twitter: Lead Generation Cards take the friction out of Twitter campaigns. When you add this capability to your Twitter campaign post, your fans can click a link that brings up a form already populated with their Twitter data: name, email address and Twitter handle – definitely a mobile-friendly move. Macy’s contest tweet brings users to look for the contest details that encourages audiences to upload videos and sign up for the challenge using email accounts. Promote your Messaging for offers with social links and Invite email unsubscribers to follow you on social media. Unsubscribers don’t always want to cut off all contact with your brand. Connecting with you via your social channels can keep the relationship going. So, put value-driven invitations that link to your social pages on your unsubscribe confirmation page or on a subscription-management page. Posted in Consumer Engagement, Social Media. Tagged Campaign, Digital, email, Social Media.